From windows to bathroom fixtures, attics to basements – we clean them all, penetrating right through the built-up dust, dirt, grease and grime, leaving every surface clean, shiny and smelling fresh. We are confident you’ll be proud of the results – our Ely Cleaning Services spring cleaners save you hours of toil and cleaning while attaining a level of cleanliness. 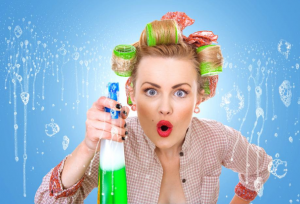 As we use safe non-toxic cleaning products to clean your house we always supply all products for a spring clean, allowing us to be extremely efficient, reducing the overall time for a spring clean and the cost to you. We also provide the cleaning equipment needed such as our professional HEPA filtered vacuum cleaners (perfect for allergy sufferers), mops and cloths. We welcome enquiries from new clients – please send an email or alternatively call us on 077 304 61 587 and we will respond asap.